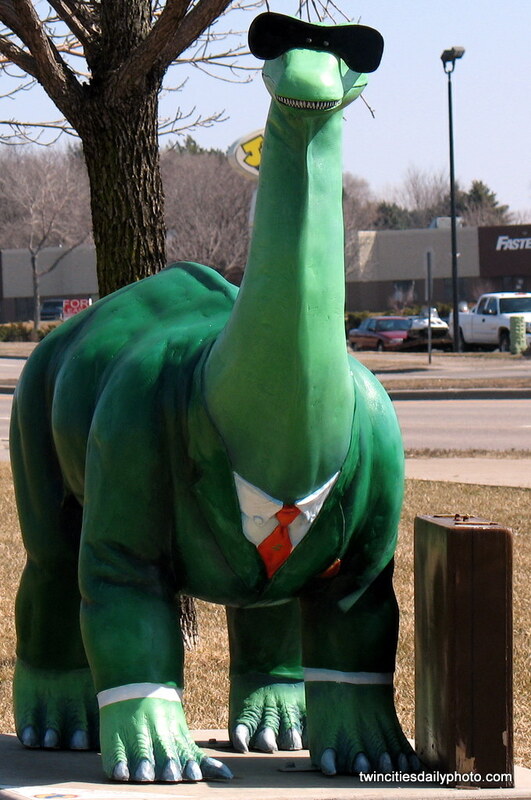 From the painted dinosaur series. This one is painted with a lot of St Paul's more well known landmarks. I've seen a couple other websites where they post a photo with three objects in the frame. This counts as one of those photos right? 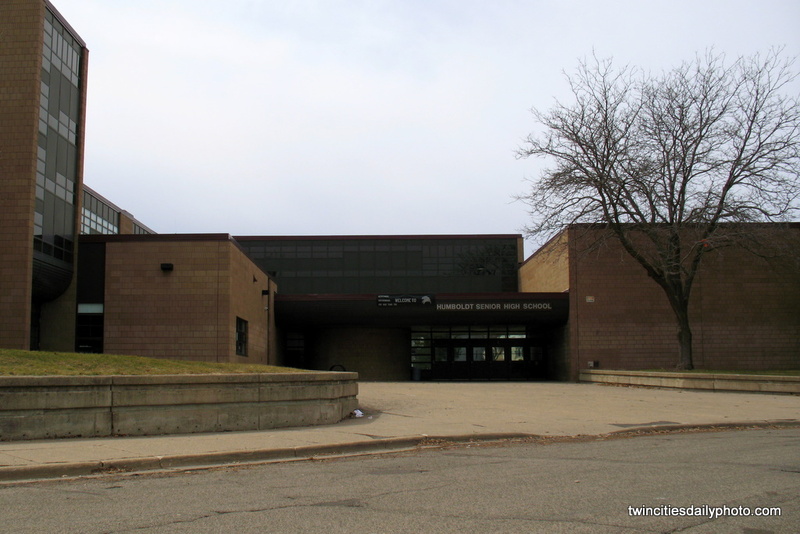 Yesterday's photo was of the main entrance to Humboldt Senior High School in St Paul, the entrance where you would address letters too. Today I'm showing you the entrance I used on a daily basis. This entrance is on the opposite side of the main entrance. In fact, if you entered the entrance from today's photo and walked in a straight line, you would exit out the main entrance from yesterday. Even though, just out of frame to the left is the loading docks and the garbage pickup, it does bring back the most memories for me. I made a quick pass through my old stomping grounds a couple weekends ago over on the West Side neighborhood of St Paul. My high school growing up was Humboldt Senior High. The building looks the same as I remember it. 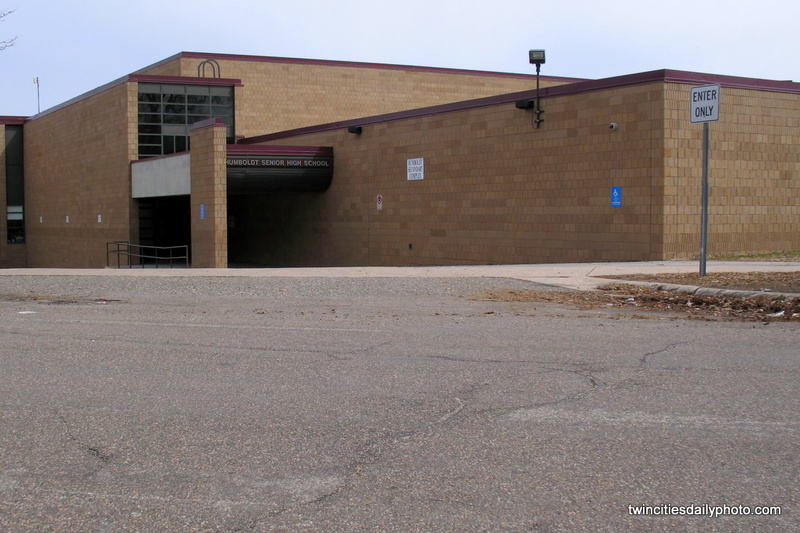 This is the main entrance to the school, though I don't recall ever entered the building using it. My home was on the opposite side of the building and obviously used the entrance closer to my home. 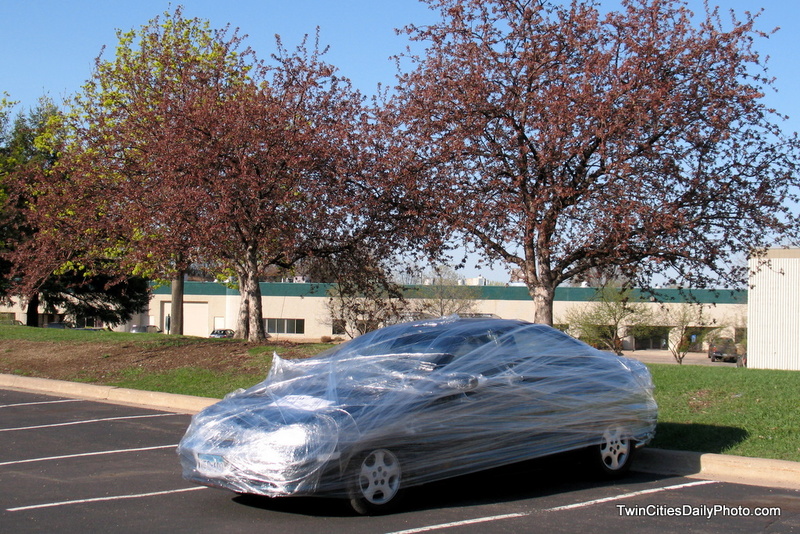 April 23, 2006 was day one of the Twin Cities Daily Photo blog. 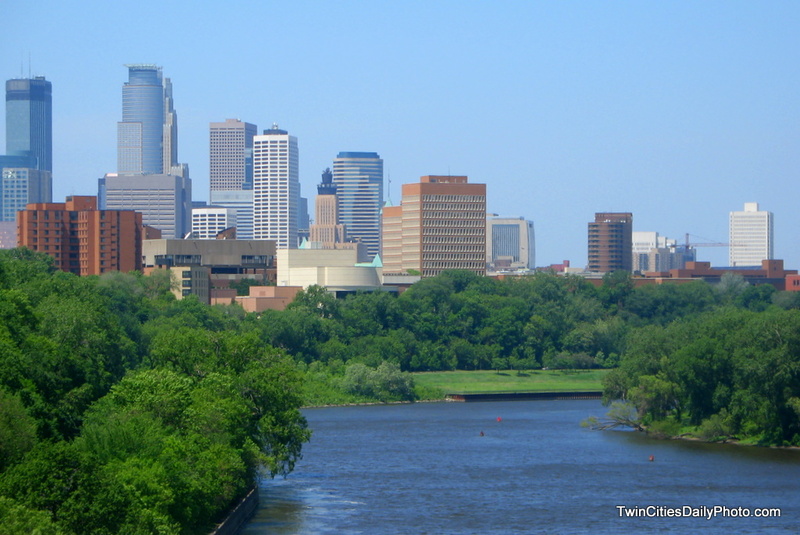 [Take a peek back at the first post here] The photo I've chosen for today's photo is one that was taken back in the first couple of months of the blog, while driving along Interstate 94, crossing the Minnesota River, looking north into downtown Minneapolis. Spring was in full bloom at this point, sunny as can be and warm enough to wear shorts and a t-shirt. Thank you to all who stop by on a regular basis. Looking at the stats for the website, I can tell there is quite a bit of regular traffic during the work week. From the West Side neighborhood in St Paul, Morgan's Foods has been here for quite some time, 20 years or so. 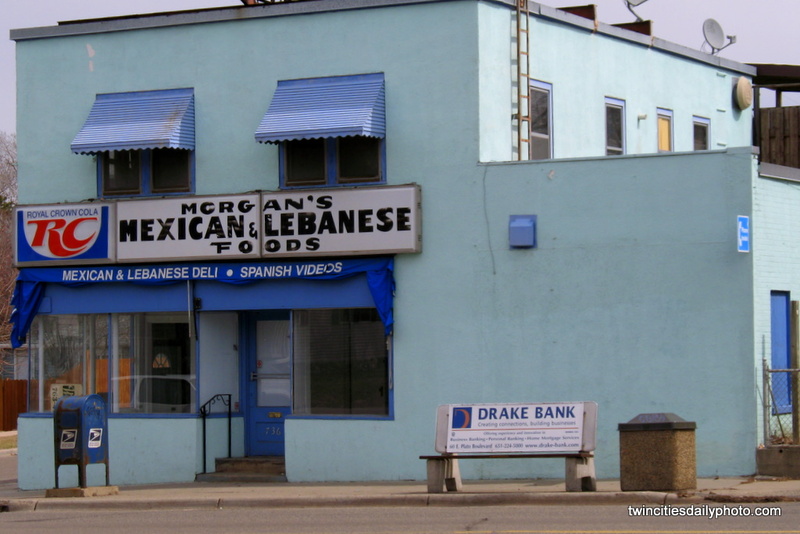 Though, as I'm looking at the photo, I honestly do not know if the business is still operational. 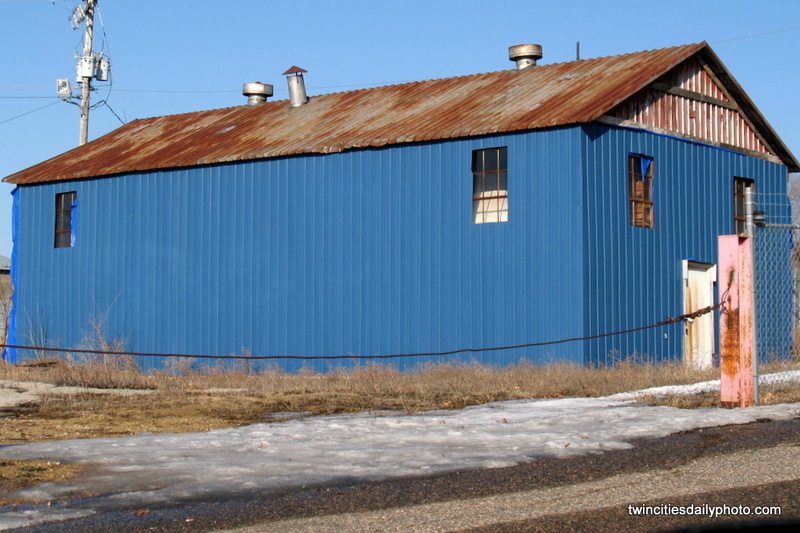 The outside of the building has always been this shade of blue, and looks like it has been maintained well. I believe I've also had a good friend of mine work here in the past. UPDATE: I've had a verbal confirmation, Morgan's Foods has been closed for a good five years or more. With that information known, I'm surprised to see the sign and building in such good condition. 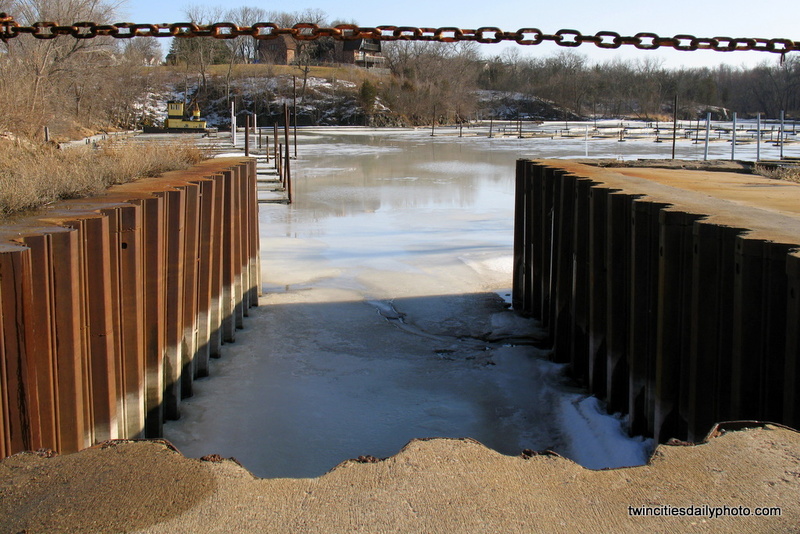 Yesterday I showed you the opening that leads out to the Mississippi River from Willie's Hidden Harbor. Today I'm showing the front portion of the harbor where boats will soon be once the waters and air temps warm to the typical summer time. A view of Willie's Hidden Harbor in Saint Paul Park. It's been nearly 70 degrees the last couple of days, I would doubt there would be much of this ice remaining in the harbor, if any at all. At the time of this photo, it was mid March and nearly the first day of spring. 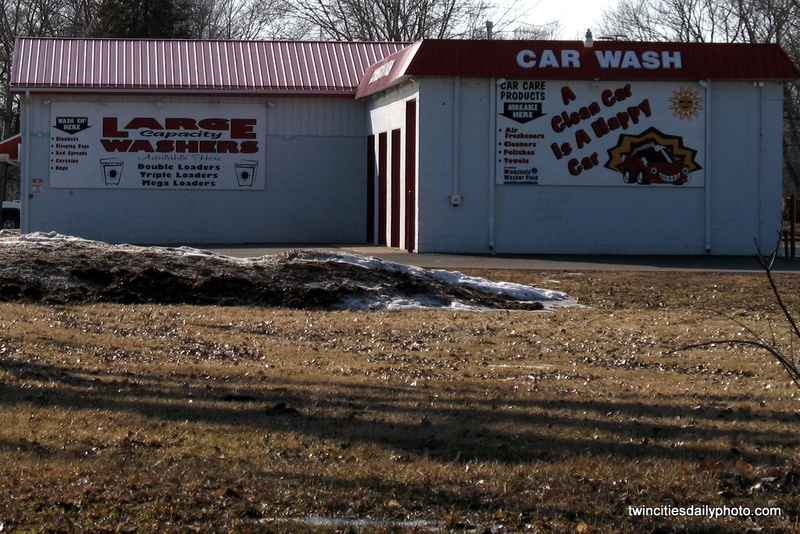 In the city of Saint Paul Park, on the corner of 3rd Street and Pullman Avenue, you'll find this convenient laundromat and car wash. The signs for this place is outstanding. "A clean car is a happy car" on the car wash side. The laundry side features 'large capacity washers'. Not only do they have Triple sized loaders, they have the grand daddy of them all, the ever popular 'Mega sized loader' available. Honestly, I don't know what the difference is between the triple size and the mega size. What does one wash in the mega loader, a room sized rug? What about dryers, do they also have mega sized dryers available to coincide with the massive washers? 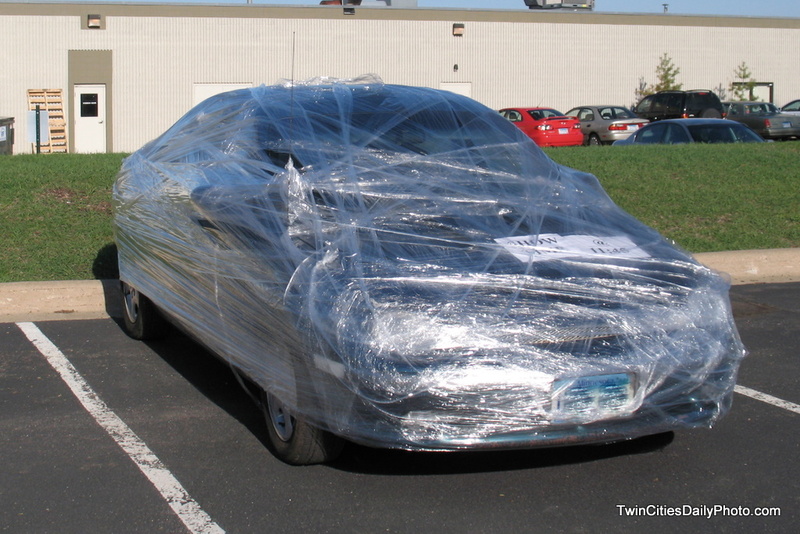 The good news is you'll go home with a clear car and clean cloths. The future's so bright, I gotta wear shades....have you completed your taxes? Minnesota Wild coach, Jacques Lemaire, will be stepping down as the coach of the Wild hockey team Monday morning. Which really puts the entire team for next year in question. Who will replace him? What kind of system will he run? 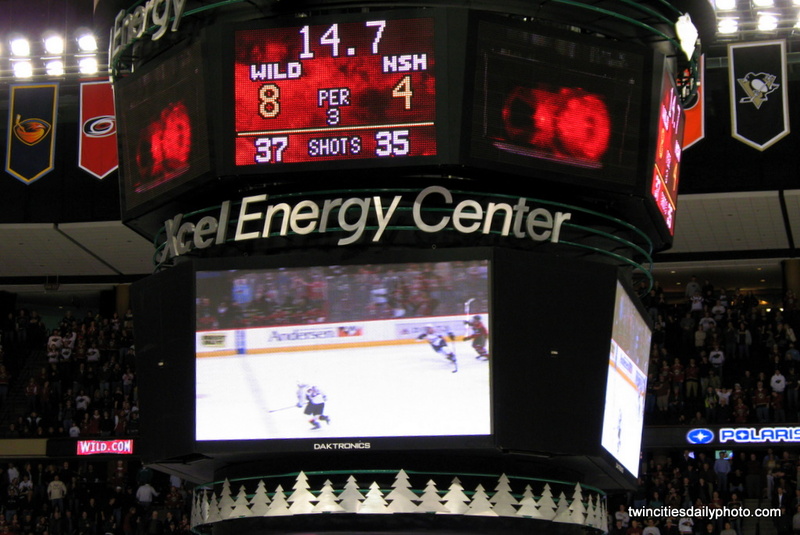 What happens to number 10, Marian Gaborik who says he will test the free agency market? Was this his final game in a Wild uniform? 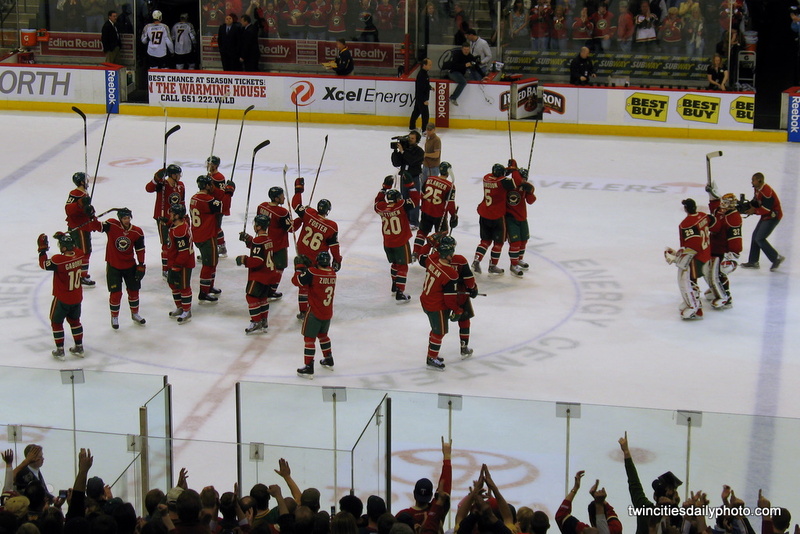 Today's photos are from fan appreciation night, the final home game of the 2009 season, where the Wild were victorious by a score of 8 to 4. 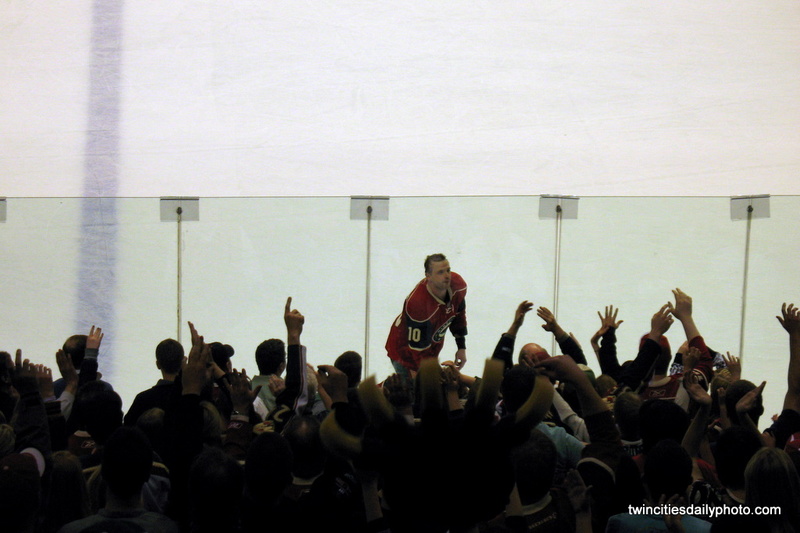 Once the game was completed, the players signed pucks and tossed them into the crowd. 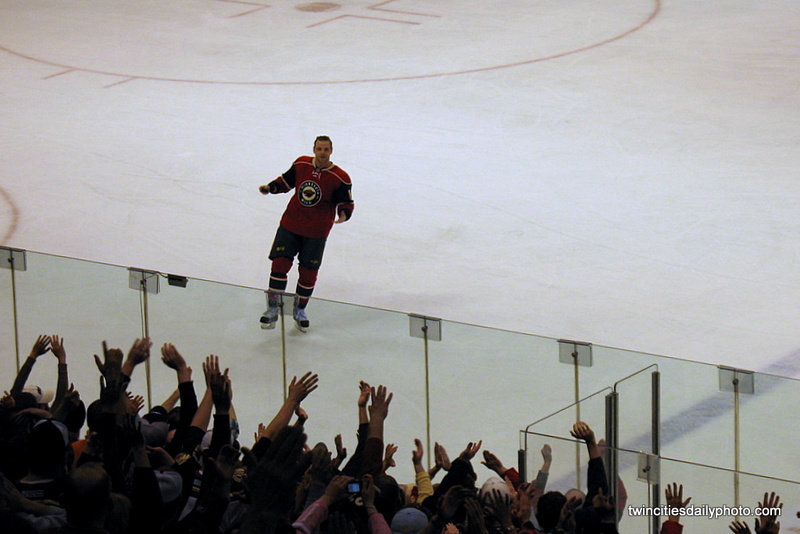 The surprise of the aftermath came when Gabby stayed on the ice the longest, with a smile on his face, motioning with his hands for the crowd to cheer louder. He would then toss a puck their way. 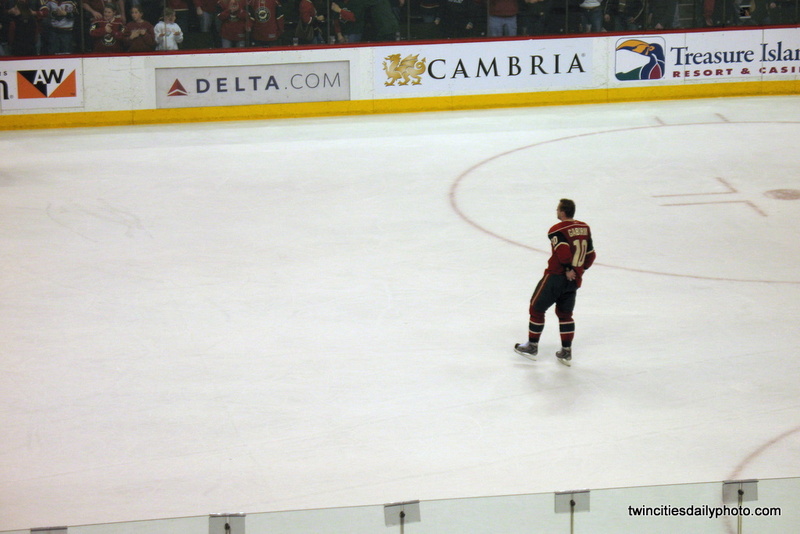 Perhaps he too was wondering if this was his final skate in front of the Minnesota fans. I do hope he stays put, his offensive talent will be hard to replace, there is no doubt. 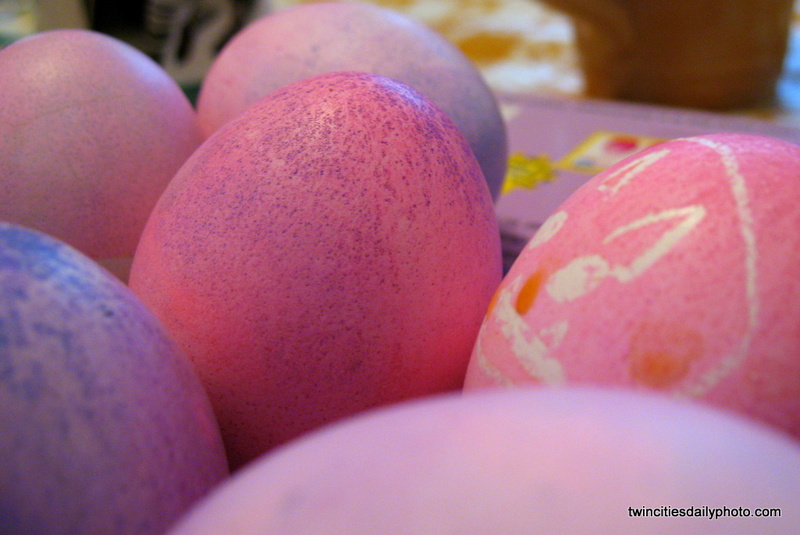 Freshly decorated eggs. Happy Easter to all. 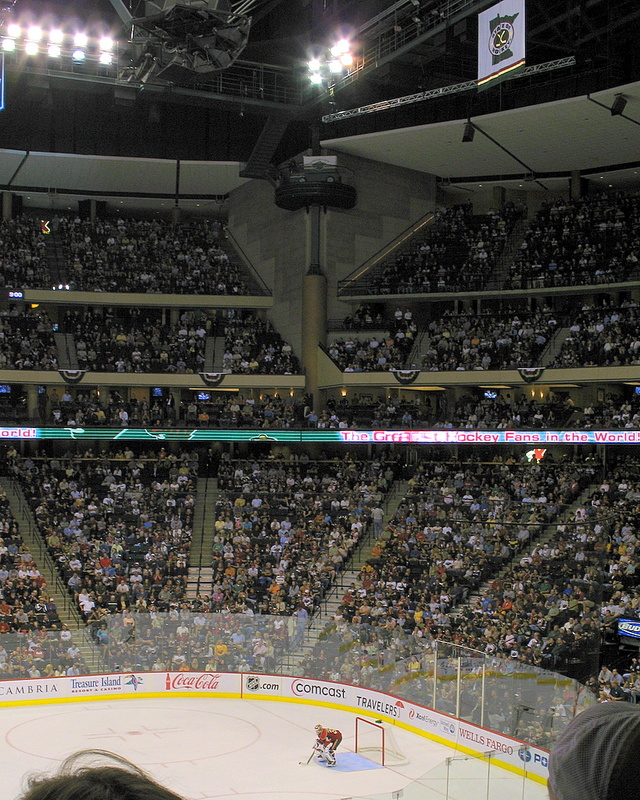 Tonight is the final home game for the Minnesota Wild hockey team. They are three points out of the playoffs and need a lot of help to make it with only two game remaining in this season. It's been a so-so season unfortunately. Many ups and downs, actually more 'downs' that the previous couple of years. I will be at the game for the last day of 'Fan Appreciation Week' rooting them on. 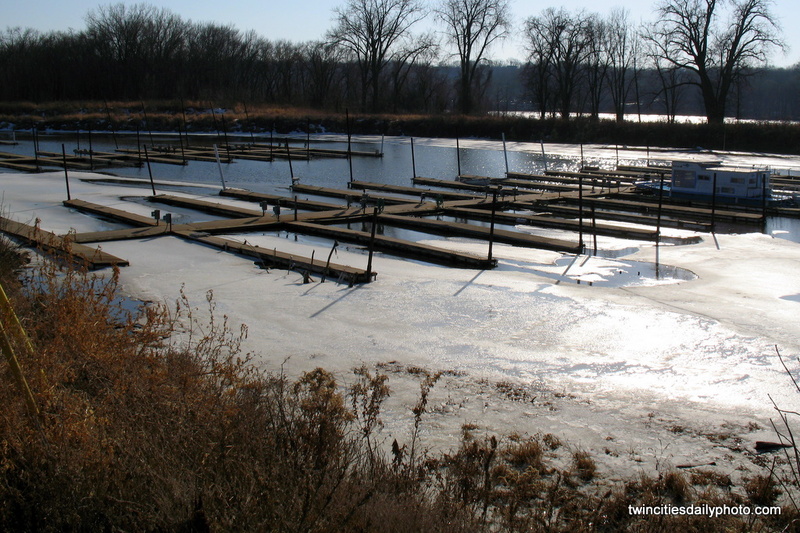 A close up view of one of the many boat launches I found at the harbor in Saint Paul Park. 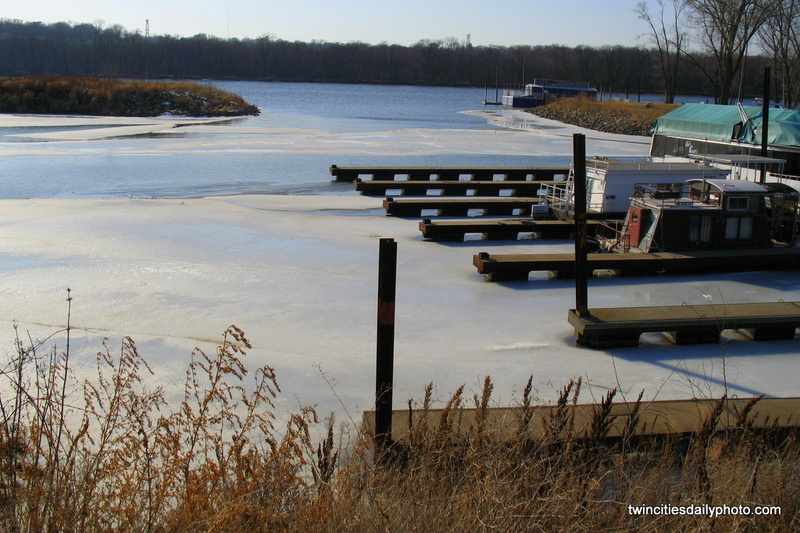 It really is a strange sight to see frozen water surrounding the empty docks. With the frozen over waters, it was calm and quiet that afternoon. Contribution Photo from swc. 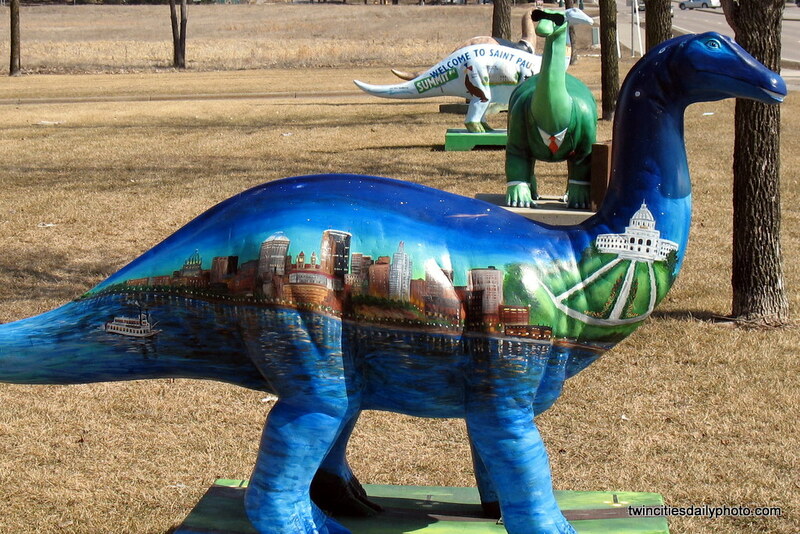 These painted dinosaurs, part of an art project from the city of St Paul. 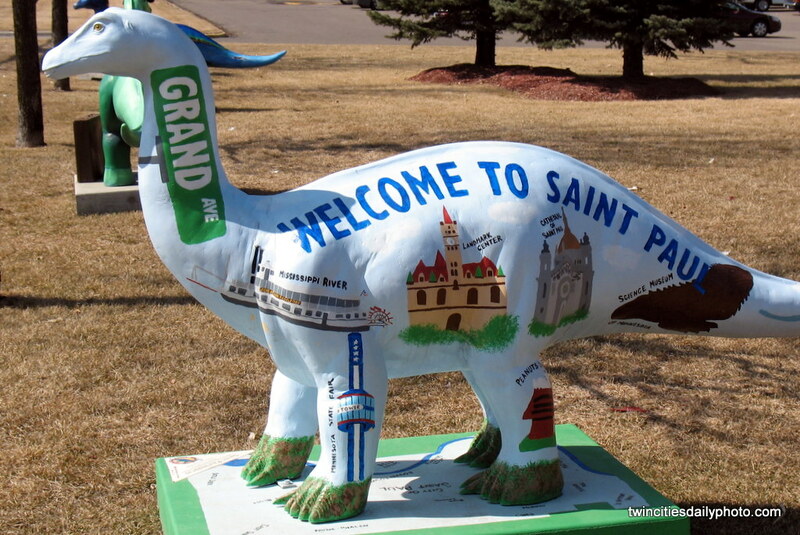 Various local artist painted similarly shaped dinos to their own tastes. This particular piece displays the Mississippi River with downtown St Paul in the background. After being on display all over the city, the artwork was then sold to the highest bidder. 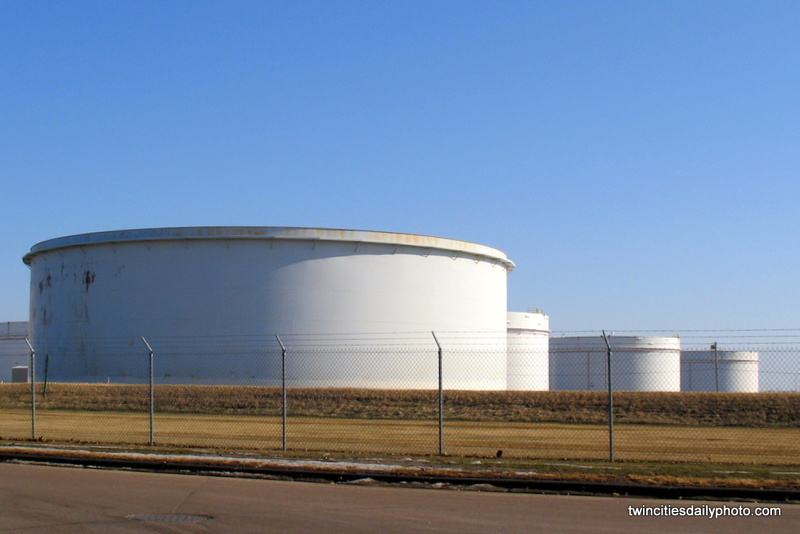 This crop of dinosaurs can be found off of Interstate 35E and I believe County Road E.
I've driven past these oil tanks many times, on a bright sunny day, half with sun, the other half in shade....they made a unique photo subject. I've always wondered just how many gallons one of these massive tankers can hold. Now I'm posting today's photo very late in the day as there is less than two hours until the clock strikes midnight. 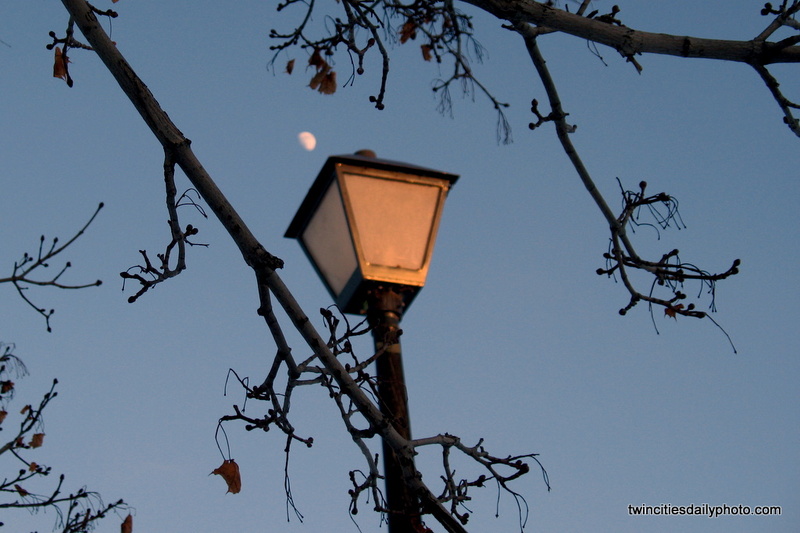 However, the first of the month is 'Theme Day' in the 'City Daily Photo' community. I couldn't pass up the theme of the color yellow. 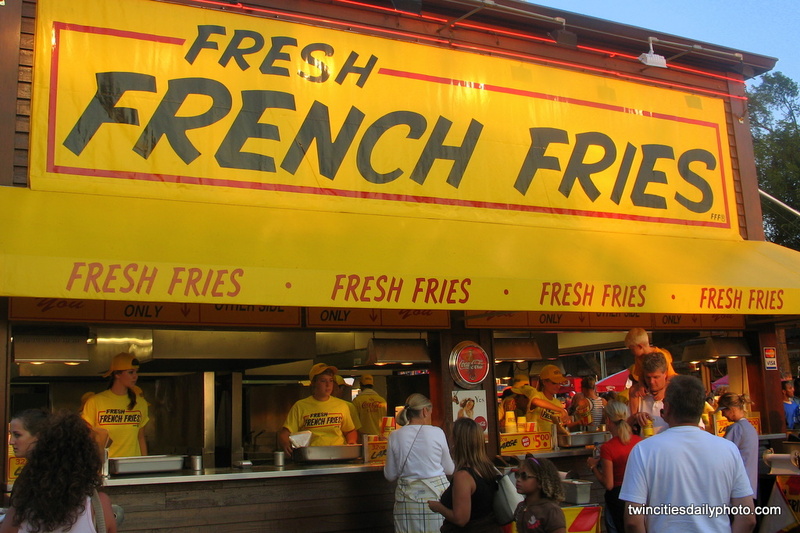 The photo I've selected is of one of the very popular Fresh French Fry stands that can be found at the Minnesota State Fair held in late August each year. It runs for two weeks, with the final day being the Labor Day holiday. As for the fry stand, most Minnesotan's who attend the fair will visit this stand year after year. They start with whole potato's, push them through a cutting system and in the vat of grease they go to cook for about three minutes. Once they are cooked, sprinkle on some salt and into a various sized cups for serving. Now you usually have to let them cool for a minute or two as they are VERY hot coming out of 450 degree bath of cooking oil. Now I must pay respect to those who work the booth each year. The two week long fair runs during our hottest month of the year. The cooking fryers are very hot, combine that with the outside air temps and it makes for a very uncomfortable place to be in. They serve the french fries and make all of us paying customers happy while they are hot beyond belief.